Whilst having a browse on the Makeup Revolution website I came across the 'Full Vamp' lipstick collection. I have been wanting to try out some new lip shades for a while now so when I saw that I could get 3 lipsticks for £2 I knew I had to give them a go. At a first glance 100% Vamp and Black Heart look like very similar shades, however once they are applied Black Heart is definitely the darker shade of the two. I have tried all three shades but I really don't think the darker shades suited me - they may be good for me to wear at Halloween though. 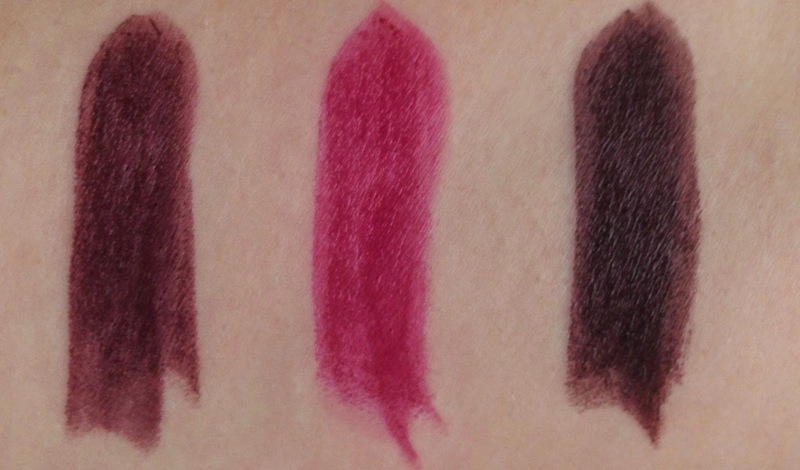 I really like the shade 'Rebel With Cause' though - it suited me better and is much more wearable. I found that the lipstick lasted around 2 hours before I needed to reapply - for the price I really couldn't complain. The lipstick formulas don't dry out the lips but I did notice that dry patches on my lips were more prominent so I would recommend applying a lip scrub and lip balm beforehand. Have you tried this collection from Makeup Revolution? 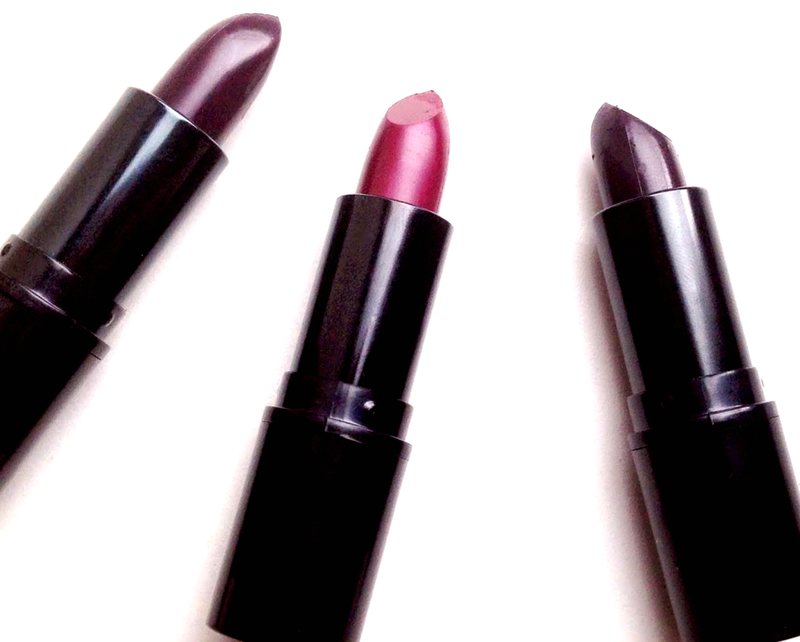 Or have you tried any other lipsticks from them?